The other day I linked to the Sacramento Bee‘s investigative report on abuses in the so-called “behavior modification units” in California’s prison system. A reader pointed out that the Bee reporter who broke the story, Charles Piller, recently gave an interview to Democracy Now. Audio and transcript are available here. In response to the Bee articles, Governor Schwarzenegger and state Senate leaders have announced an investigation into the BMUs. 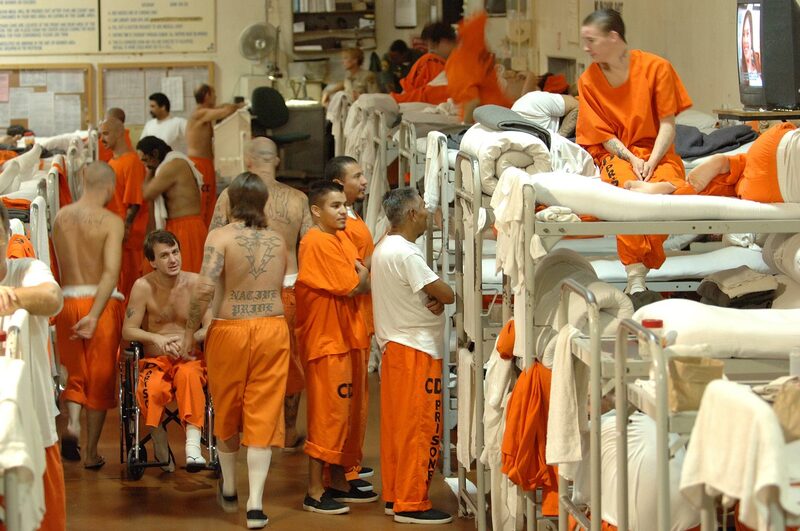 More blogging coverage is available at California Corrections Crisis. “Maximum ‘safe and reasonable’ capacity” does not take into account “the need for humane conditions” incorporated into design capacity, or the need for programming space incorporated into both design and operable capacity. More important …, that classification does not take into account the space or facilities required to provide medical or mental health care. The Capitol Weekly has this report on the Corrections Corporation of America, the leading private prison company in the U.S., whose contracts in California alone have soared from $23 million to $700 million, just since 2006. Even in a state accustomed to high-dollar contracts, the 31-fold increase over three years is dramatic. During the same period, the company’s campaign donations rose exponentially, from $36,750 in 2006, of which $25,000 went to the state Republican Party, to $233,500 in 2007-08 and nearly $139,000 in 2009. The donations have gone to Democrats, Republicans and ballot measures. The company’s largest single contribution, $100,000, went to an unsuccessful budget-reform package pushed last year by Gov. Schwarzenegger. The lack of competitive bidding has raised concerns about in the Democrat-controlled Legislature about prison-system procurement. CCA operates five out-of-state facilities for the Golden State — holding about 8,000 California inmates (to increase to about 10,000 under the latest contract) — in Arizona, Mississippi, and Oklahoma. CCA, and some state officials, argue that the company has helped alleviate California prison system’s severe overcrowding problem.